South Africa just had its strongest bond auction since March, a sign investors see value in the country’s debt after a sell-off sparked by Turkey’s currency woes. 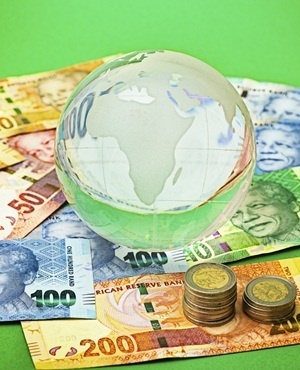 Traders placed R9.77bn of orders, or more than four times the R2.4bn of securities on sale, at the scheduled weekly Treasury auction on Tuesday, according to data published by the Reserve Bank. South African yields surged to two-month highs on Monday as Turkey’s currency meltdown sapped demand for emerging-market assets. Rates on benchmark 2026 government notes climbed to 9.02%, the highest among investment-rated peers, attracting local buyers even as foreign investors dumped the debt at the fastest rate since June. Nine South Africa-based primary dealers participate in the weekly auctions. “The auction cleared strong today as investors took advantage of higher yields to add risk to their portfolios,” said Michelle Wohlberg, a trader at FirstRand Bank [JSE: FSR] in Johannesburg. Yields on 2026 government securities fell eight basis points on Tuesday to 8.94%, paring the rise in the past three trading sessions to nine points. The bonds have lost 11% this month in dollar terms, the worst performance after Turkish debt, which is down 36%, according to Bloomberg Barclays indices.